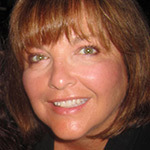 Debra Warner is a grief counselor serving the Thousand Oaks and Westlake Village, California area. She is certified as a grief counselor and is trained as an EMDR therapist. Debra’s focus is to help those who are experiencing loss or grief in a safe and supportive environment.